Is your thyroid on overdrive because of Graves’ disease—causing symptoms such as anxiety or heart palpitations? Check out this hyperthyroidism natural treatment plan for fast, lasting relief. If left untreated, Graves disease increases the risk of serious illness or death due to cardiovascular disease and osteoporosis. Graves’ disease is an autoimmune condition in which the immune system attacks the body’s own thyroid gland, leading to an overproduction of thyroid hormones. It is the most common form of hyperthyroidism and one of the most common autoimmune disorders in the United States. 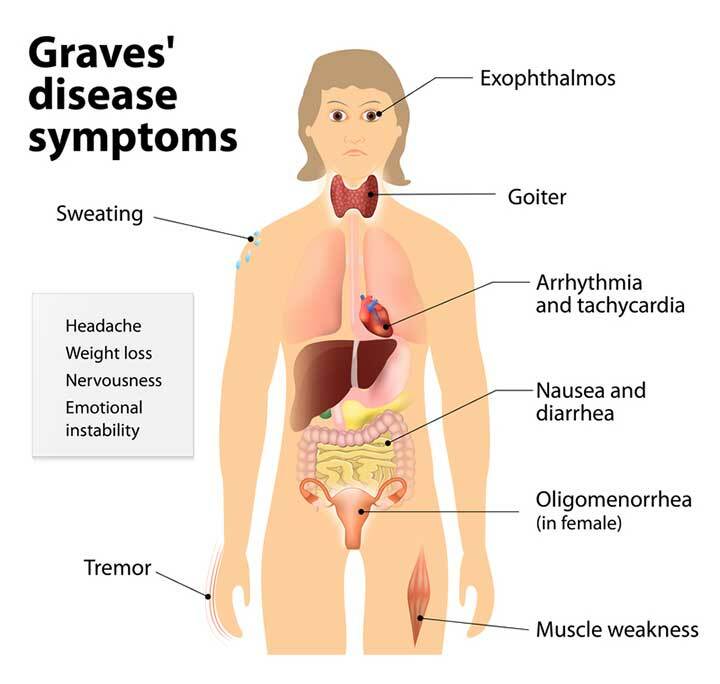 Graves’s disease causes numerous hyperthyroidism symptoms, such as rapid heartbeat, sweating, muscle weakness, tremor and anxiety. For Graves’-related hyperthyroidism, natural treatment protocols can greatly improve symptoms and quality of life while simultaneously addressing the disease’s underlying cause. Optimize vitamin D. Vitamin D exerts hormone-like actions on the cells of the immune system, generating anti-inflammatory effects and helping to regulate the immune system. Although the exact mechanisms underlying the role of vitamin D in autoimmune diseases like Graves’ disease are not completely understood, it is now widely accepted that vitamin D plays an important role. People with Graves’ disease are more likely to be deficient in vitamin D, and low vitamin D levels increase the risk of Graves’ disease. Certain mutations in the vitamin D receptor gene are linked to a higher incidence of autoimmune thyroid diseases, including Graves’. 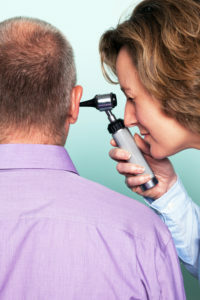 While definitive studies still are needed to confirm that supplementation with vitamin D has beneficial therapeutic effects in Graves’ disease, vitamin D is so important for overall health that natural medicine practitioners recommend that all patients with Graves’ have their vitamin D levels tested and then supplement with vitamin D to optimize levels. Ask to be tested for 25-hydroxy vitamin D. If your levels are low, discuss appropriate vitamin D supplementation with your physician. Note that while conventional medicine considers any level within the reference range to be “normal,” your level may not be what many physicians now consider optimal. Especially for people with autoimmune disease, many natural and integrative physicians now recommend that levels be maintained at around the 75th percentile of normal or around 60 to 80. This may require daily supplementation with 5000 IU or more. Too much can be dangerous, however, so make sure to get your levels checked regularly and don’t take so much that your levels become elevated. Supplement with selenium. Selenium is a trace mineral that acts as an important antioxidant and plays a central role in thyroid hormone synthesis and regulation. The more thyroid hormone the thyroid gland produces, the more oxidative stress occurs. Selenium is required to balance this oxidative stress. Selenium is also required by the body’s cells to convert T4 into inactive T4 metabolites as well as into active T3. Lastly, it influences the immune system in ways that are still being investigated, as supplementation with selenium influences levels of thyroid antibodies. When taken along with the standard treatment methimazole, selenium has been shown to enhance the normalization of thyroid hormone levels and is associated with lower rates of depression in patients with Graves’ disease. Most doctors who prescribe selenium for autoimmune thyroid disease recommend a daily dose of 400 micrograms. Supplement with L-carnitine. L-carnitine has also been shown to play an important role in thyroid disease. Studies have shown that increased thyroid activity may create an increased cellular need for carnitine. L-carnitine supplementation helps prevent or reverse muscle weakness and other symptoms in hyperthyroid patients. Preliminary findings also suggest that L-carnitine may help protect against the lethal threat of thyroid storm. A dose of 500 mg of acetyl-L-carnitine three times daily is often recommended, although other forms of L-carnitine in higher doses (2-4 grams daily) may also be used. Low-dose naltrexone (LDN) has also shown to be very effective for autoimmune diseases, including Grave’s disease. Many patients on low-dose naltrexone report significant lowering of their anti-thyroid antibodies, although no studies have been conducted. Underlying chronic infections and leaky gut should also be identified and treated if present. For anyone suffering from Graves’ disease, it is crucial from a naturopathic and integrative medicine standpoint to treat underlying causes of immune system dysfunction. This can include identifying and treating any chronic viral or bacterial infections. It may also involve treating intestinal inflammation or “leaky gut.” These conditions can be identified through laboratory testing and each requires individualized treatment that is best done in conjunction with a qualified health practitioner. What if You’ve Been Treated for Graves’ and Now your Thyroid is Gone or No Longer Working? If your thyroid has been surgically removed, if you’ve received radioactive iodine treatment (radioiodine ablation), or you’ve taken anti-thyroid drugs for your Graves’ disease, you will need thyroid replacement therapy to replace the thyroid hormones your gland is no longer producing. Your conventional physician will most likely prescribe synthetic T4 only treatment (levothyroxine, Synthroid, etc.). However, some people find that they also need the addition of the T3 hormone in some form. Some patients feel best on a combination of synthetic T4 and T3 (liothyronine/Cytomel), others feel best on a natural desiccated thyroid drug (Nature-throid, WP Thyroid, etc. ), on a specially-compounded prescription medication, or some combination of the above medications. Ideally, you will have a doctor who realize these individual differences and is willing to work with you to find the best treatment. What’s Wrong With Conventional Treatments for Hyperthyroidism? Conventional treatment options for Graves’ are aimed at reducing thyroid hormone production through the use of medications, radioactive iodine therapy, or surgery. The most common treatments—radioactive iodine therapy and surgical removal of the thyroid gland—require life-long treatment with thyroid hormone. Radioactive iodine therapy is associated with the development or worsening of thyroid eye disease in approximately 15% to 20% of patients. In addition to causing lifelong treatment with thyroid hormones, surgery to remove the thyroid gland may cause permanent damage to the vocal cords and parathyroid glands, which control the levels of calcium in your body. The other conventional treatment option is the use of prescription antithyroid medications—methimazole, propylthiouracil, or carbimazole. These drugs, which work best if symptoms are mild, have significant side effects and are associated with high rates (around 50%) of disease relapse. Drugs called beta blockers are also prescribed to reduce symptoms of hyperthyroidism, including rapid heart rate and palpitations, but they do not reduce thyroid hormone levels and can cause fatigue. If left untreated, Graves’ increases the risk of serious illness or death due to cardiovascular disease and osteoporosis. Therefore, timely management of hyperthyroidism caused by Graves’ is of utmost importance. While you may require more invasive, conventional treatments, it is highly possible that for your particular hyperthyroidism, natural treatment is preferable in terms of safety, tolerability, and long-term effectiveness. Make an appointment with a natural or integrative practitioner, such as a naturopathic doctor or functional medicine doctor, to discuss natural hyperthyroidism treatments such as potassium iodide, vitamin D, selenium, L-carnitine, low-dose naltrexone, and more. Eur Thyroid J. 2015 Jun; 4(2): 93–98. J Clin Endocrinol Metab. 2013 Sep;98(9):3671-7.
ablation, anti inflammatory, antioxidant, anxiety, autoimmune thyroid disease, beta blockers, calcium, cardiovascular, cardiovascular disease, carnitine, depression, graves disease, health, hormone, hyperthyroidism, Hyperthyroidism Natural Treatment, immune system, inflammation, integrative, integrative physicians, iodine, leaky gut, low vitamin d, low vitamin d levels, muscle, natural desiccated thyroid, natural medicine, natural treatment, naturopathic, naturopathic doctor, nutrients, osteoporosis, oxidative stress, potassium, report, selenium, side effects, stress, supplement, thyroid, thyroid eye disease, thyroid hormone, vitamin, vitamin d.
I have thyroid disease it’s horrible right now am having breathing problems. Can’t sleep at night heavy sweats. Dizziness. Carbizomile lowered white cell count and had to stop taking. One Week later, back to square 1.